When clients come to us looking for window dressings for multiple rooms of their home, we are on hand to help give advice on the best solutions for each room. We also work with the client and take on board their own preferences and tastes when coming up with the final decision for each room. 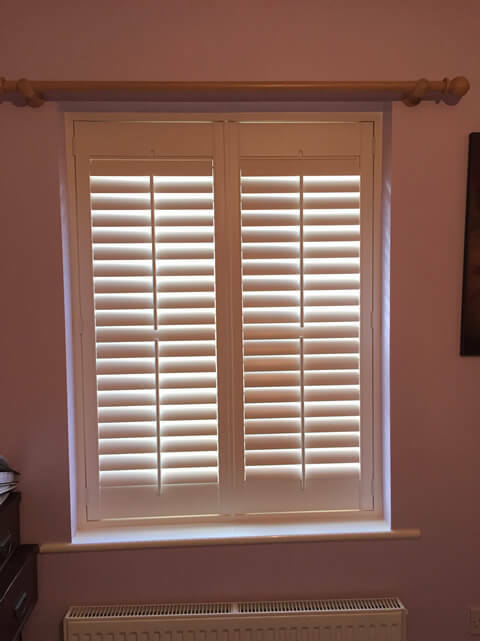 This customer was looking to have shutters and blinds fitted to a door, 2 kitchen windows and 2 bedrooms of their home in New Eltham, South East London. 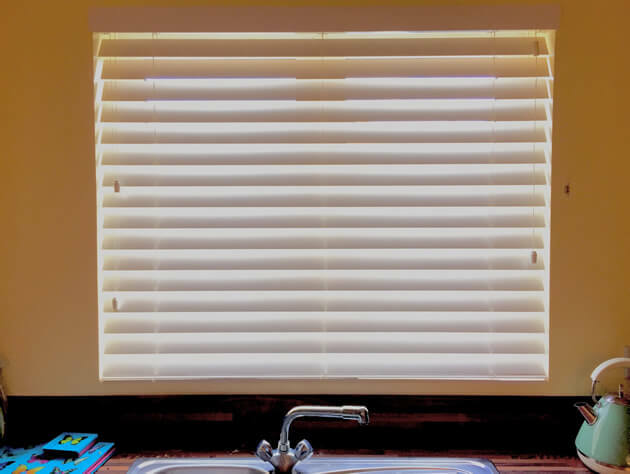 It was decided that 4 of the areas would be fitted with shutters, with 1 area above the sink fitted with waterproof venetian blinds. 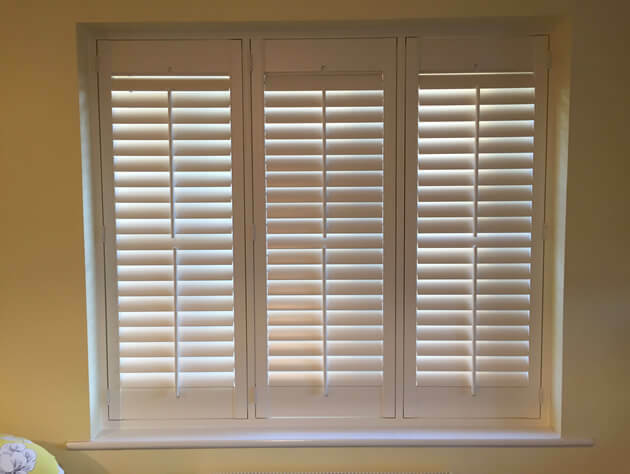 With our bespoke service we were able to match the colour finish of the blinds with the shutters, creating a seamless look throughout the whole house. 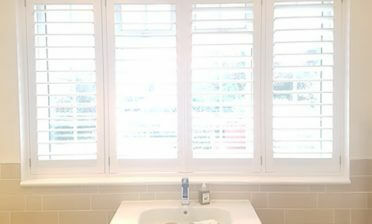 The client was interested in the hygienic advantages of wipe clean shutters and blinds as well as the new look it would create around the home. 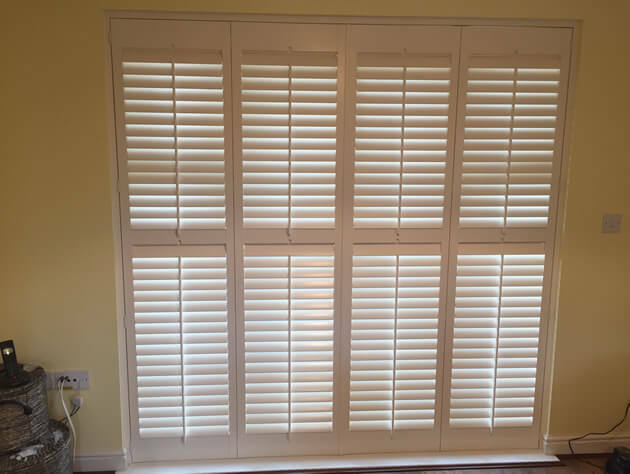 Using full height shutters with invisible splits on the windows and a mid rail split on the door also meant that the customer has great control and flexibility or light and privacy with the shutters. The visible mid rail on the door shutters not only helps strengthen the panels, but helps break up the many louvres down the panels. 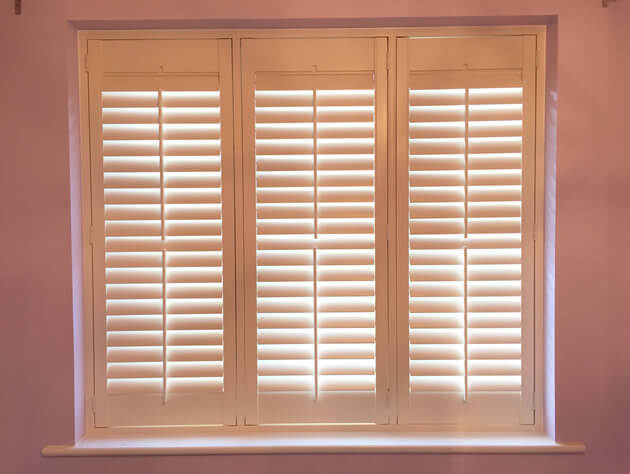 The majority of these shutters were created from our Antigua Range, with the door shutters made from our Cuba Range making them more light weight and easy to move. 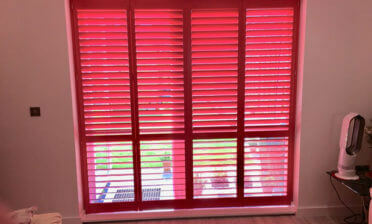 All shutters feature 64mm louvres with centralised tilt rods, with the blinds using 60mm slats. 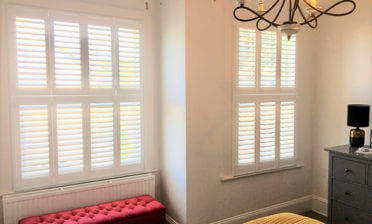 They were all finished in a creamy colour, with the shutters using pearl coloured hinges.